Chinese months are reckoned by the lunar calendar, with each month beginning on the darkest day. New Year festivities traditionally start on the first day of the month and continue until the fifteenth, when the moon is brightest. Chinese New Year is the longest and most important celebration in the Chinese calendar. Let's start this short week by wishing everyone around the globe a happy happy happy new year. May you have good fortune and good health this year. Enter the Dragon..! 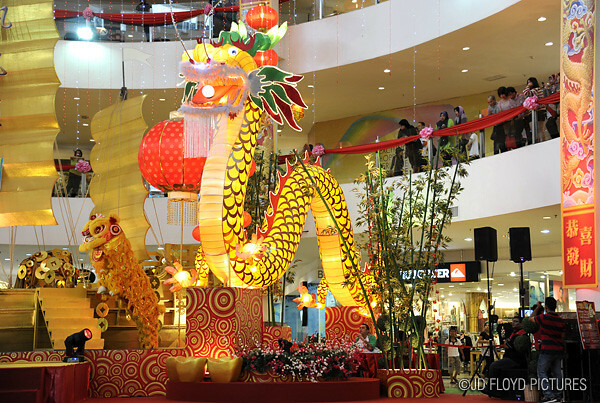 - Chinese New Year decorations at Centre Atrium, 1Borneo. 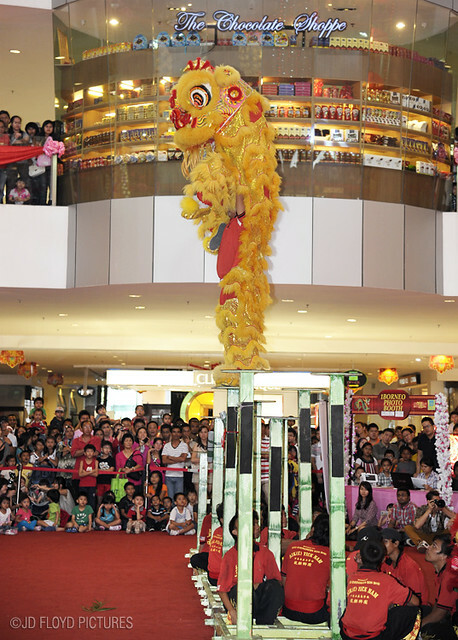 How about sharing a link here to those great shots you took during this year's CNY celebration? That would be awesome! The dragon is a pretty one!! @Meitzeu. Kong Hi Fatt Choy! @tehr. Stamina mau kuat tu kan, bro.